Each bag includes an assortment of our “most asked for” 12 flavors: Blueberry, Cherry, Chocolate covered Banana, Chocolate covered Cherry, Grape, Lemon, Lime, Licorice (white w/ black stripe), Orange, Orange Sherbert, Vanilla & Watermelon. 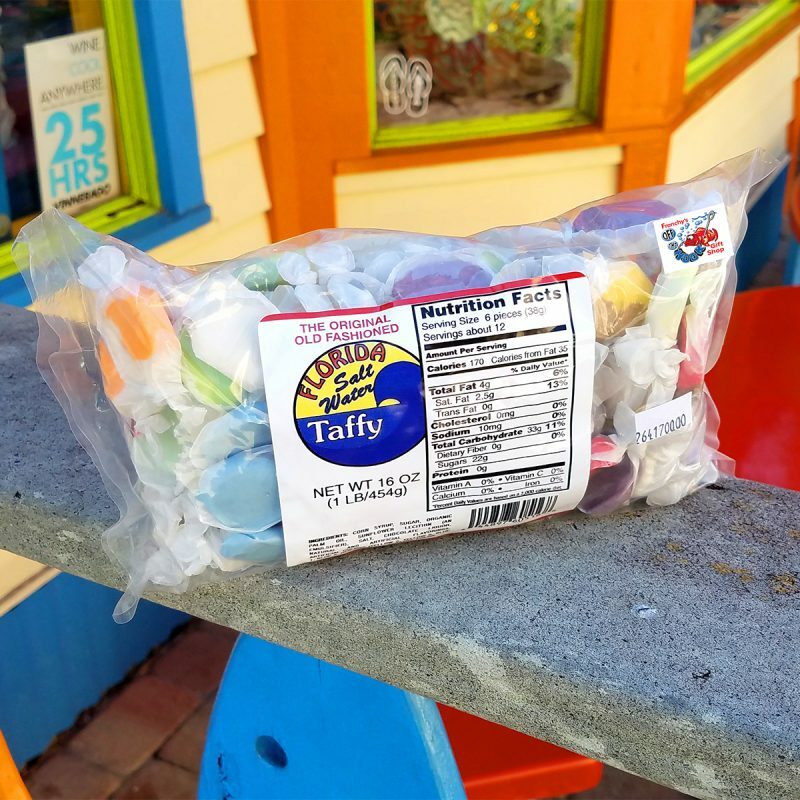 All of our Taffy is Transfat Free, Soy Free & Gluten Free. Made in Florida with American made ingredients! 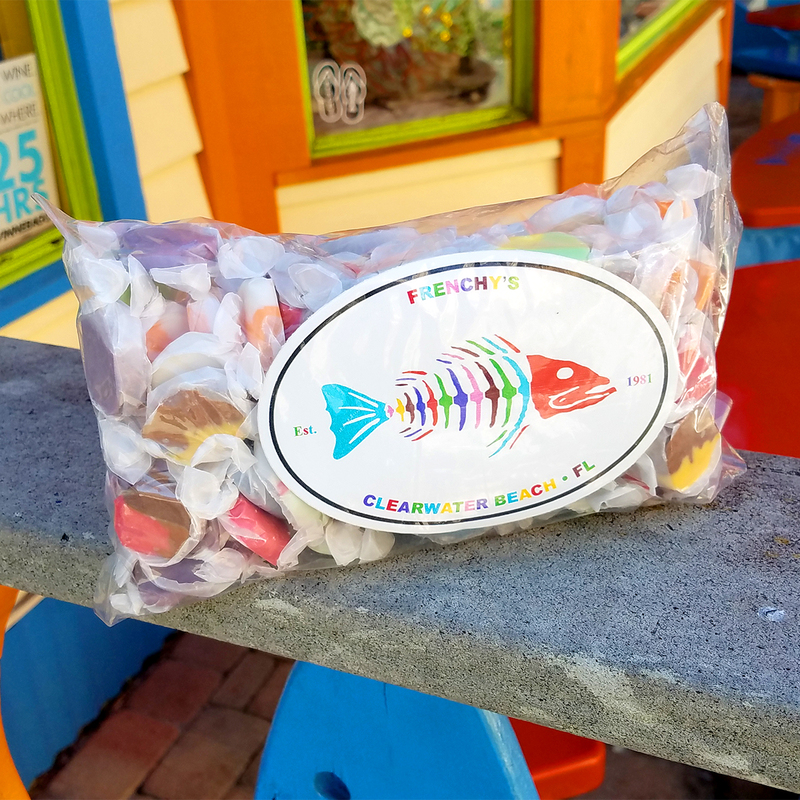 Each bag comes with a Frenchy’s “Fishbone” sticker!